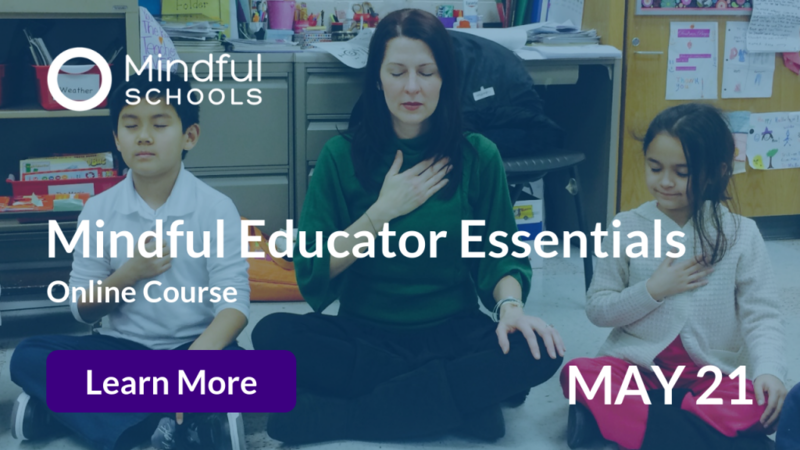 We caught up with Maria Usewick, an occupational therapist who practices mindfulness and yoga with her clients in schools and after-school programs. Maria’s enthusiasm for helping children lead more skillful, confident lives is revealed in her creative games and activities. 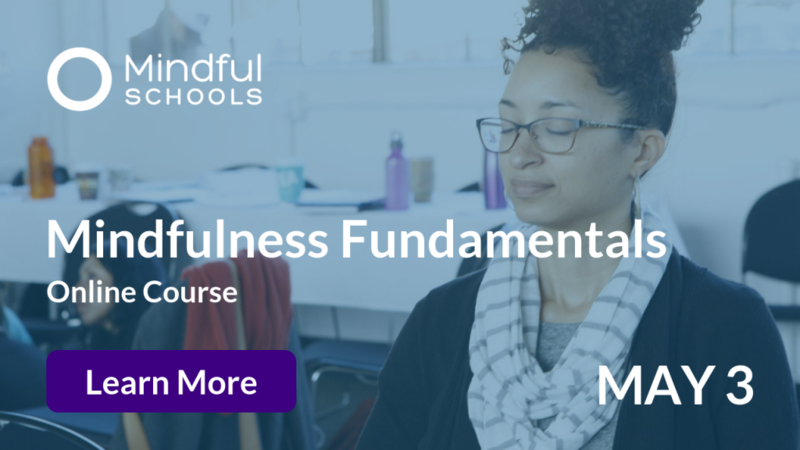 How did mindfulness become a regular practice for you? In my search to relieve my chronic back pain, due to three herniated discs in my lower back, I exhausted most “typical” forms of therapy. I needed a better way to manage and prevent spasms. Integrating a daily practice of mindfulness meditation and yoga works so well for me. 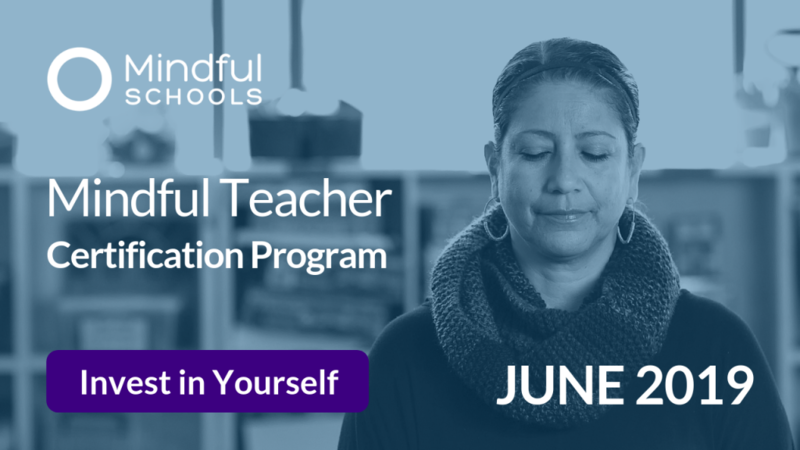 As mindfulness became crucial in my daily life, I realized that this life skill would be so beneficial for the children I serve as an occupational therapist. I could envision its impacts for their families and beyond, into my whole community. 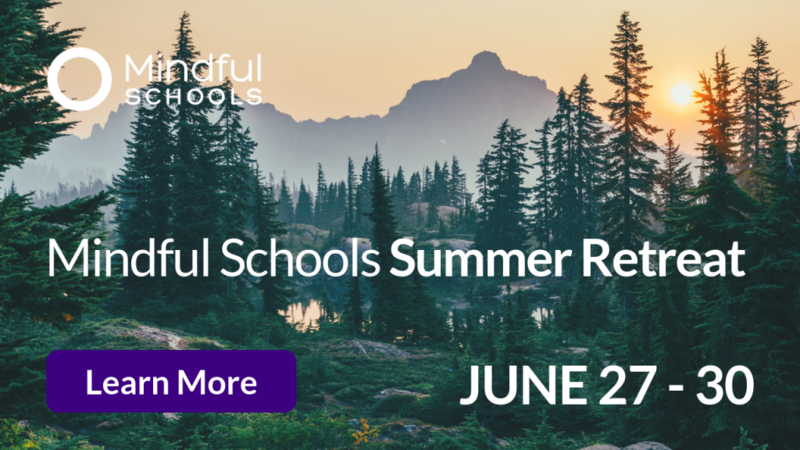 I knew, immediately, that I needed to take the Mindful Schools Certification training in order to share it widely and I couldn’t be more grateful for that decision! Now I share mindfulness and yoga practices with the students who come to me for OT. The students are challenged by a range of difficulties – sensory processing, self-regulation, sustaining attention to tasks, social-emotional skills, fine motor dexterity, gross motor coordination, visual perceptual skills, or handwriting skills. 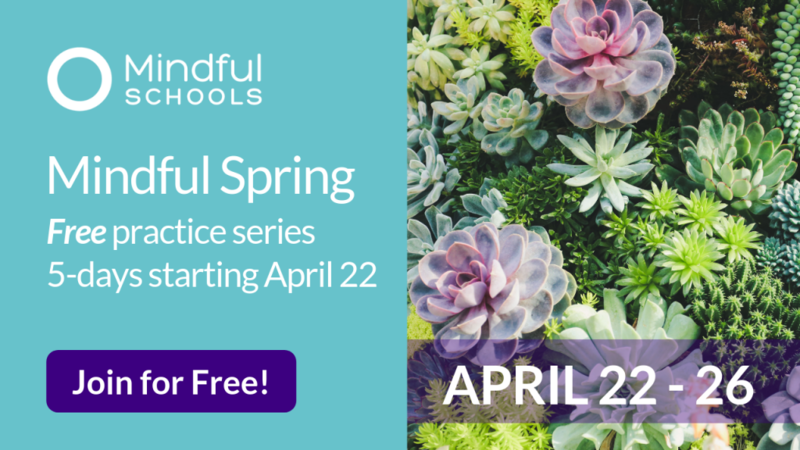 I meet students where they are, beginning each therapy session with a simple anchoring activity -– a mindful body chant, playing/staying with our breath, squeeze and release, or a yoga game. One little boy, who really struggles to stay focused in class, told me he’s starting to notice when his “puppy mind” wanders and he’s training it to come back faster. Another very bright boy with a lot of energy, who attends my after school “Inner Explorer Class,” recently told me he completed his standardized test ahead of others and had to sit for 30 minutes, without a book, waiting for the end of testing. It was torture. So he did the “Rollercoaster breath” six times, the “Anchor breath” 100 times, and “Chair Crazy Eights” five times. This helped him sit until the testing ended. I love to hear how students are applying the skills we’ve practiced together. What’s been the greatest challenge on your path? Society’s need for a “quick fix.” When we’re looking to relieve the difficulties of youth and adults with mental and emotional health challenges, there are no magic shortcuts. The skills I teach through mindfulness and yoga may sound simple but they take patience, time and effort … then the results can be lasting. How do you define a successful day? 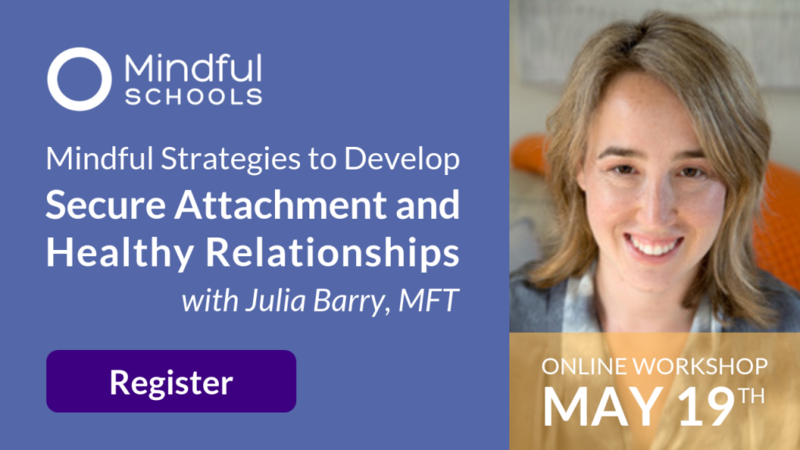 When I’ve connected with someone – kids, adults, even my dog – and am able to impact their life in a positive way, even for a moment of their day, it’s a successful day. Simply smiling and laughing with my family, counts as a success for me … especially now that they’re all teenagers. LET THINGS UNFOLD. I learned from an early age to be organized, to set goals and to plan the steps to reach my goals. I was told “you need to see it to achieve it.” I am right at home as an occupational therapist because goals and objectives are required for every client. So, goals and planning have been helpful in my life. But over-planning prevents me from fully experiencing and benefiting from the now! Each morning when my alarm sounds, I hit “sleep” and for the next 15 minutes I start my day with a morning meditation ritual: feeling my breath, acknowledging gratitude for this new day, setting an intention, and anchoring my busy mind as it attempts to micromanage my “to-do list.” I rest my attention and focus my breath where muscles have tightened during the night, relax my body and release unwanted tension. Then I practice ten minutes of yoga. I love this routine because it eases me into the day, giving me clarity and renewed energy. I find many mindful moments throughout my day. In my car, at work, during meals, in conversations, while cooking, and when walking my dog, I pause to regain a bit of inward focus on the “here and now.” Over and over, as I settle in and anchor myself, I am able to let things unfold. Thanks Maria for sharing your story! 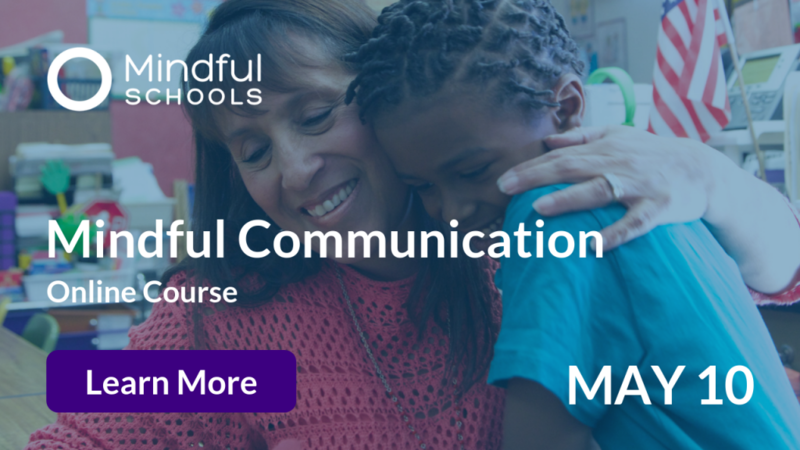 If you’re interested in sharing your own story with our community here, or if you want to learn more about joining our community, simply reach out to us at community@mindfulschools.org. We love hearing more about your experiences and what you’re learning.